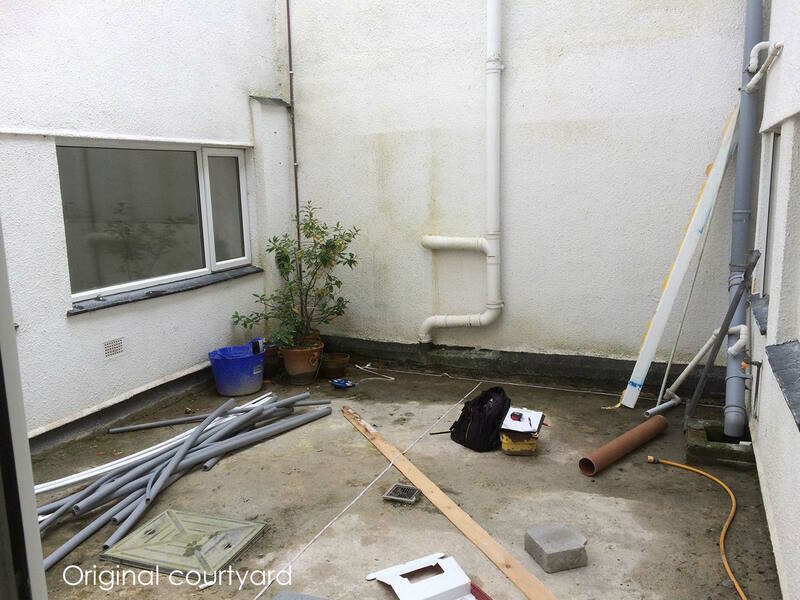 All the living areas of this holiday property overlooked this shady basement area so it was vital to transform it into a beautiful outdoor space. 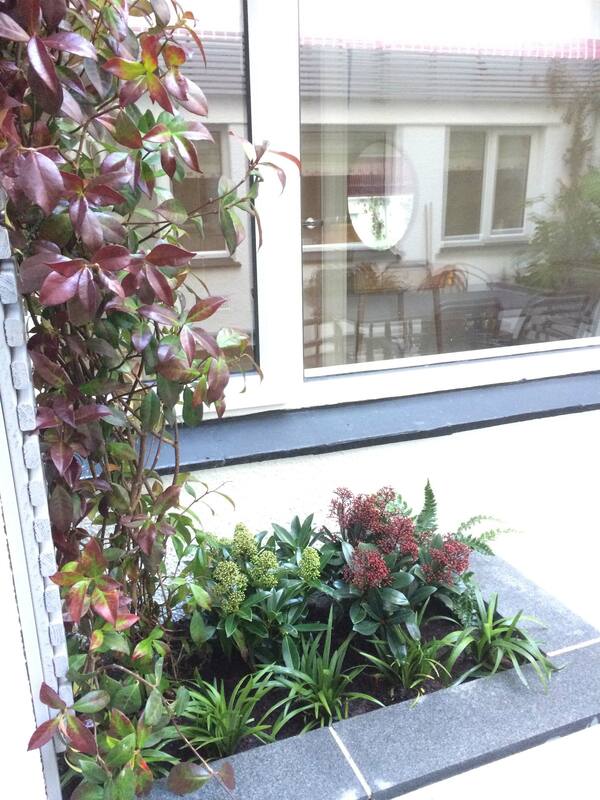 The planting for this contemporary courtyard garden needed to offer an all year round presence and be as low maintenance as possible. 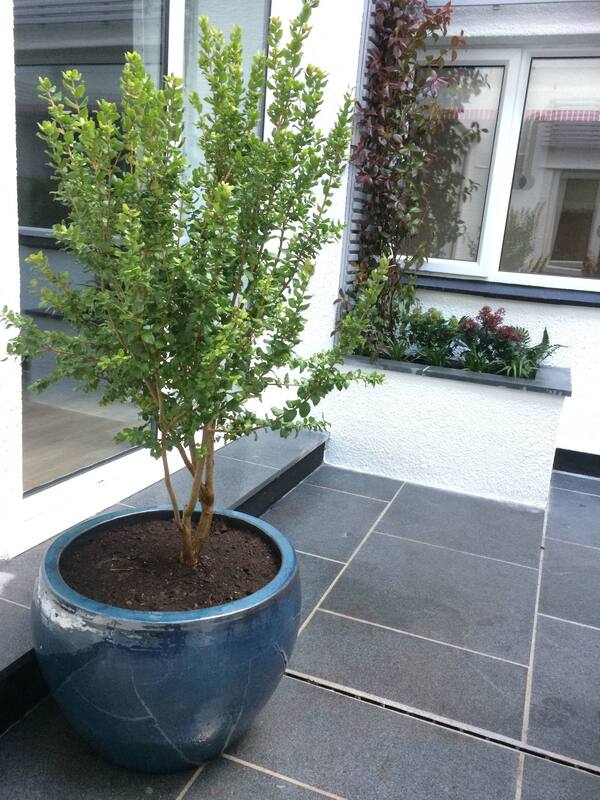 A slim central drainage channel was installed and slip-resistant Eclipse granite paving from Marshalls . 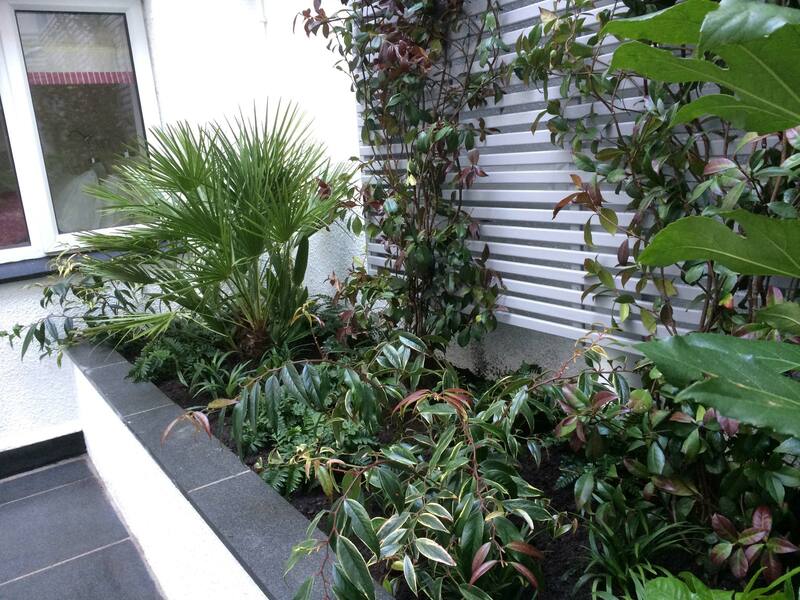 Large planters were built to so that the need for constant irrigation would be minimised. These were topped with Eclipse paving to tie the scheme together. The slatted trellis from The Garden Trellis Company further unifies the space. 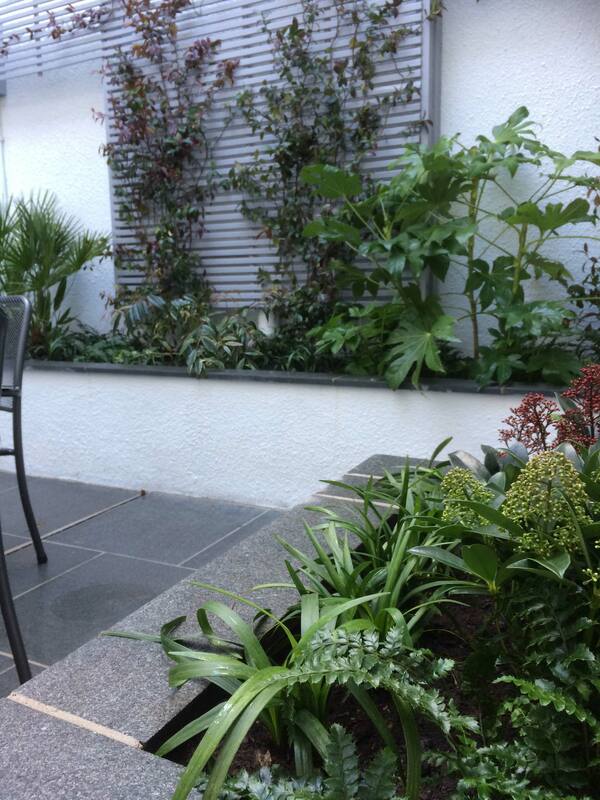 Confederate Jasmine climbs the trellis while ferns and big blue lilyturf are a richly textured lower layer. 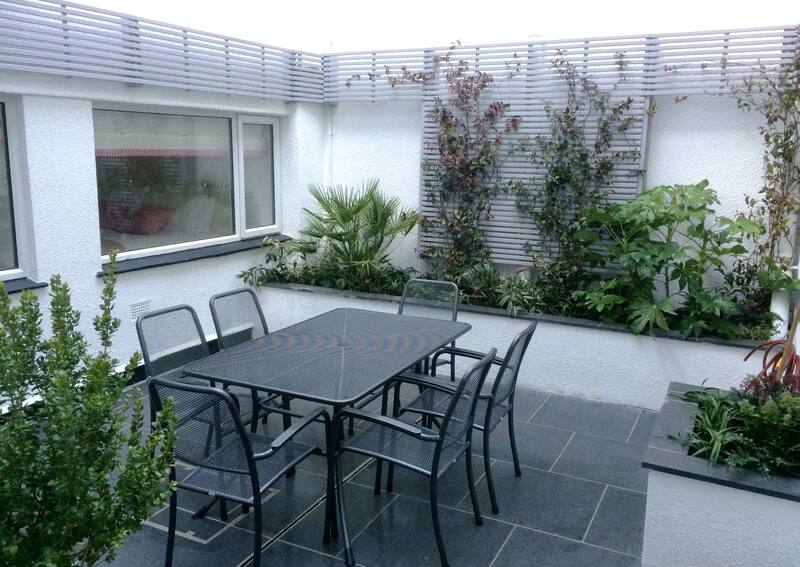 This courtyard is now an enticing space, offering holidaymakers a place to dine and relax surrounded by lush evergreen planting.